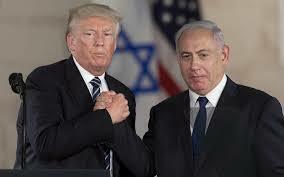 In a hastily completed White House ceremony President Donald Trump signed a decree granting official US recognition to Israel’s illegal annexation of Syria’s Golan Heights. On the surface it seems as nothing has changed because Israel has illegally occupied and annexed the area since the 1967 war. However, no one should underestimate its far-reaching global implications. This decree by Trump has openly defied and trampled on numerous United Nations Security Council Resolutions which called for the complete withdrawal of Israel from all Occupied Arab territories including the Golan Heights. These included Resolutions 242 (1967) and 338 (1973). UNSC Resolution 479 of 1981 confirmed the illegality of the annexation of the Golan Heights by Israel. The US was a signatory of all these Resolutions. Despite this, Trump has acted with utter impunity and complete disregard for international law. Resolution 478 (1980) condemned Israel’s attempt to annex East Jerusalem. Donald Trump ignored this resolution as well and arrogantly declared the whole of Jerusalem as the capital of Israel. Trump declared that Israel has the right to defend itself against external threats. What nonsense. The reality is that Israel has used the Golan Heights as a launching pad for its own relentless attacks on Syria in the war for regime change against the government of Bashar al-Assad. In other words, Trump is recognizing Israel’s annexation of the Golan Heights, even as Washington is occupying and effectively annexing Syrian territory east of the Euphrates River. This annexation flies in the face of the Geneva Convention. The US is signatory to the Convention. This latest act of bullying and aggression by the Zionist military machine entrenches the ethnic cleansing and genocide of the Palestinian population from Israel and the occupied territories in pursuit of the goal of a “Greater Israel”. This imperialist and colonialist project is bound up with the subjugation of the Middle East to US empire building interests and the preparation for war with Iran. The Media Review Network is deeply concerned that this open act of belligerence and defiance on the part of the US and Israel will open the flood gates of ferocious violence against the defenceless Palestinians. Also, we urge the African Union, through our Department of International Relations and Cooperation to caution African Governments against cosying up to neo-fascism being imported to the Continent by the likes of Israel. Finally, the Zionist chant of “Eretz Israel” will not stop on the Golan Heights, unless the international community insist that the UNSC Resolution 479 of 1981 be implemented as a matter of urgency.